What better place on Earth than Normandy to host a festival on impressionism? Normandy was the birth place of the Impressionist movement during the second half of the 19th century. Landscapes, verdant nature, the sea, its towpath trails, picturesque villages and loops of the Seine have attracted many artists including Claude Monet – who has never heard of his famous cathedrals? – Pierre-Auguste Renoir and Alfred Sisley. Wishing to work in the open air and enjoying the expansion of the railway network between Paris and Normandy, a handful of painters fled the French capital and its artificial lights. What they discover was a mysterious changing light in Normandy: Normandy and its Seine Valley. Rouen quickly became a beacon of light and inspiration for these masters and their new form of expression. The programming of the Festival Normandy Impressionist 2016 offers more than 450 events in Rouen, the Valley of the Seine and in Normandy. The festival pays homage to this famous artistic movement through its exhibitions, contemporary creations, conferences, workshops, photographs, theatre plays, concerts and events. Follow in the footsteps of the Impressionists, with a guided tour that will reveal the secrets and anecdotes from these greatest artists. Why not create your own drawing, graffiti or painting? Numerous workshops and courses are organized for adults, but also the young public. Every evening, from 3 June to September 25, 2016, the Cathedral adorns itself with a free show of sound and light, focusing on the Impressionist “first impression”. A must-see that is abound to amaze! It is time to travel up to La Bouille and attend the Spring rally with an impressionistic theme. Albert Lebourg, Claude Monet and even Camille Pissarro created outstanding portraits of this charming Norman village. Opt for a special Normandy Impressionist Festival cruise, direction La Bouille with the well-known historian and speaker on board, Jacques Tanguy. Cross the Impressionist landscapes that have inspired many artists, lunch on the boat and enjoy the ride on the Seine. To emerge you in the festival mood at the beginning of your journey, the SNCF decorated three of its trains in the colors and the image of the Festival, departing from Saint-Lazare Station in Paris. 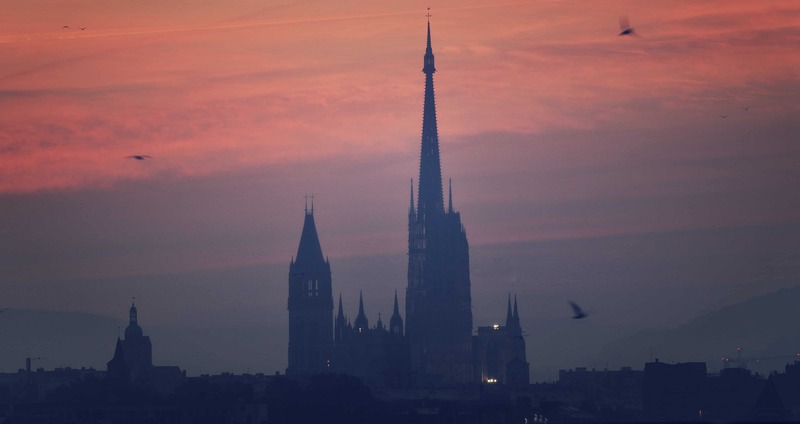 Three destinations are possible, including Rouen. With this card, you can benefit from discounted rates, privileges, exclusives and discounts on your accommodation or travel by train. The card sells for a mere 4€, and is valid throughout the 5 months Normandy Impressionist Festival! On sale at the Tourist office of Rouen and many other tourist attractions.